Hi everyone! 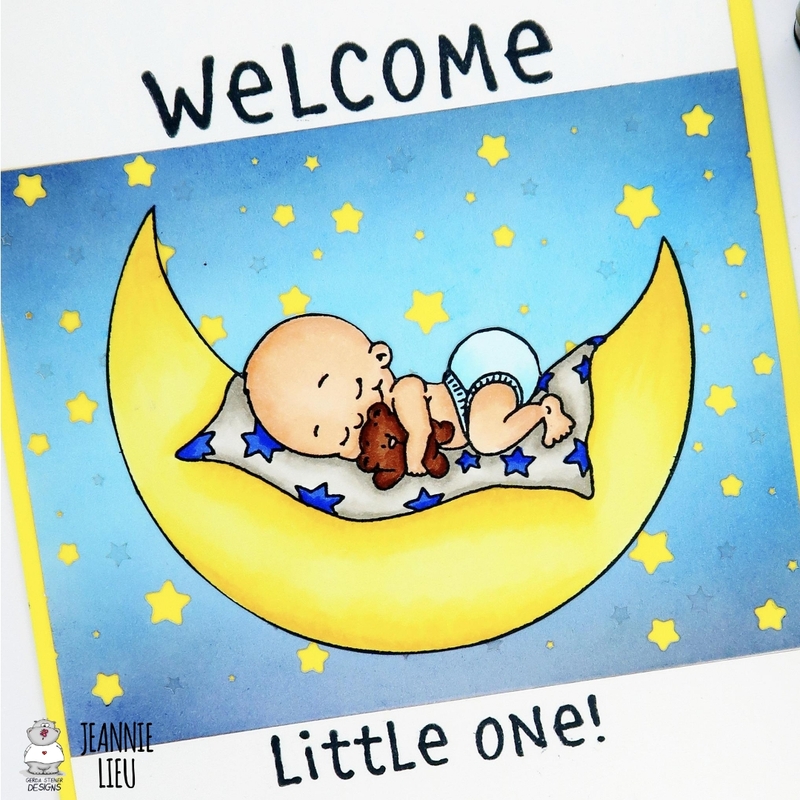 I’m back to share another card with you today using one of Gerda Steiner Designs’ stamp, Hello Little One. This is one of the images that was originally a digital stamp and now converted to a clear stamp. 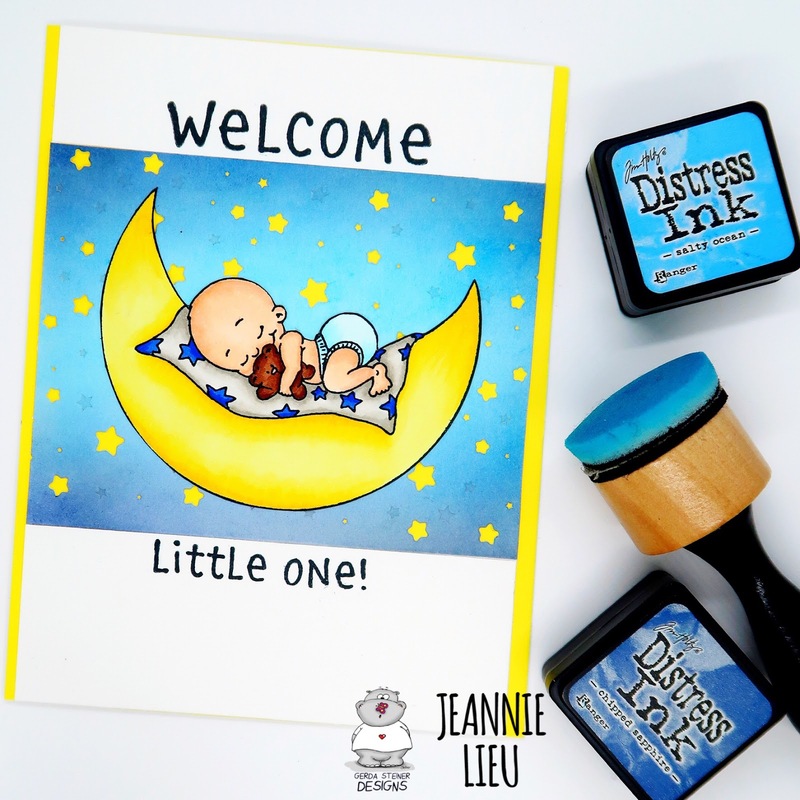 Personally, I love clear stamps over digital stamps because I want to be able to stamp directly to a card base. Once I added this, I trimmed it down a bit so it’s a strip that runs across the card base. I added the sentiments on the top and bottom to finish off the card.